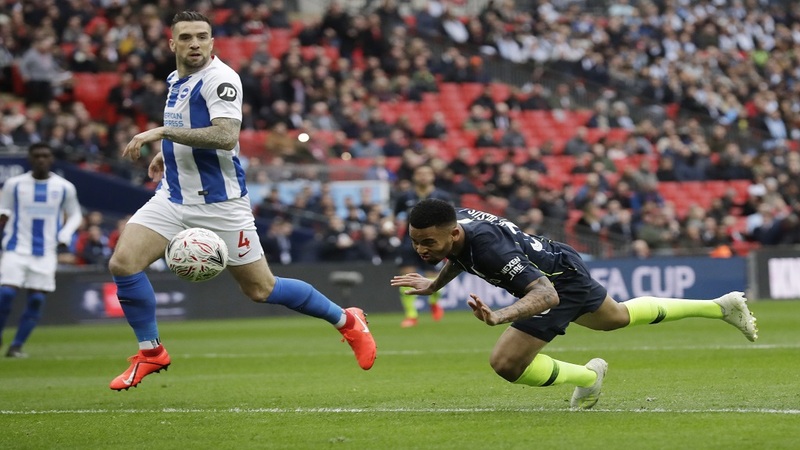 Manchester City's Gabriel Jesus scores the opening goal during the English FA Cup semifinal football match against Brighton & Hove Albion at Wembley Stadium in London, Saturday, April 6, 2019. 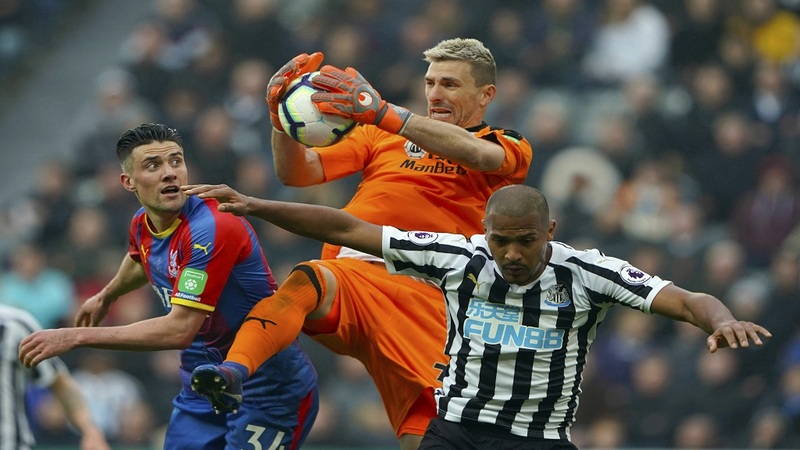 Brighton, which are still fighting for top-flight survival, caused problems for a City side challenging for the Premier League they won with a 100-point haul last season. Liverpool are back on top for now after beating Southampton on Friday night but City have a game in hand to wipe out that two-point lead. 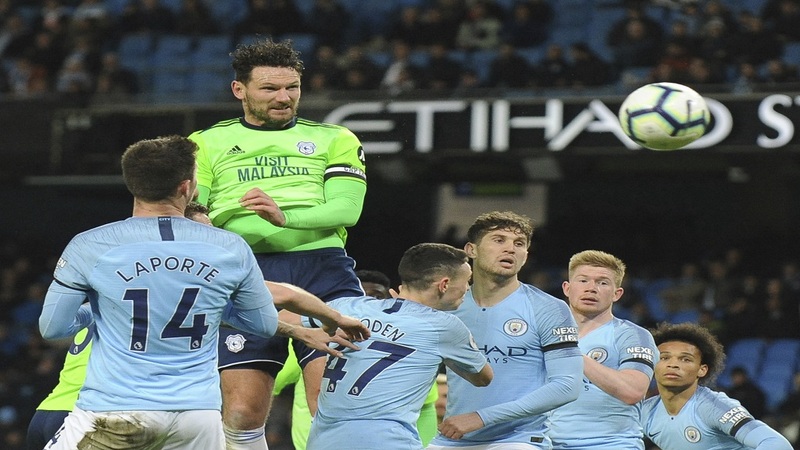 No English team has ever swept the Premier League, FA Cup, and League Cup, let alone win European soccer's top prize at the same time. Guardiola did win the Champions League and Spanish league and cup in 2009 at the end of his first season in charge of Barcelona.